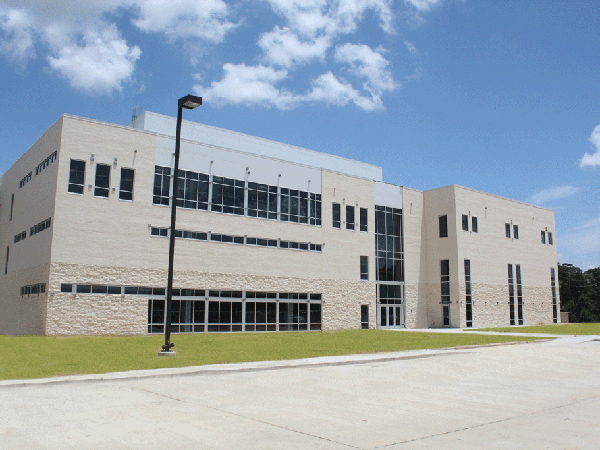 The Health Sciences Building (HSB) is a three story, 60,000 sf building that houses numerous classrooms, a library, occupational training spaces, including a second floor residential training space, pharmacy tech lab, operating room, clean room, sterile room, soil room, nursing suite, CNA lab and classroom and administrative offices. Only two floors were built out; the third floor remains as shell space for future expansion. The structural steel framed building’s exterior is primarily masonry with glazed openings.